Sulandra Joubert thrives on creating a unique, personalised and delightful Wedding cake to suit your taste and requirements. She specialises in Sugar craft and cake creations. She lives and works from Mpumalanga, South Africa. The beautiful Lowveld, well known as "Big Five" country (Elephant, Rhinoceros, Buffalo, Leopard and Lion), serves as inspiration to Sulandra's creativity. It is evident in the African, Ethnic feel she brings into some of her designs. Her cakes are described as Art pieces by her clients. Sulandra Joubert always brings out surprising elements in her creations, and enjoys the challenge of a new idea. Her designs are fresh and unique, and widely popular due to its originality. She creates and bakes cakes for Weddings, Functions, Theme parties and special Anniversaries. Her clients also vary from Bridal couples, Business functions to Lodges, Bed and Breakfasts, Product launches, or for any event. Delightful Cakes is often seen in the local Media (Nelspruit and White River Newspapers) due to the quality of work and outstanding service to clients. Asked what she prefers to make, her answer is: "To create a cake exactly according to my Client's requirements. I do however enjoy sharing creative ideas with the client, and finally produce a cake in beauty and quality far above all expectations! Your Wedding cake is like a microcosm of a good Marriage. Beautiful on the outside, Rich on the inside - and a perfect blend of Tradition and Originality". Sulandra also encourages her clients to use their Wedding cake as part of the desert Menu, or to give each guest a petite cake as "thank you" gift. Whether it be Traditional, African/Ethnic, Chocolate desert, Contemporary, miniature Cookie Cups, Petit fours, Bonbonnieres, miniature Wedding cakes, Chocolate Mousse, Chocolate Cigars or Curls, Sulandra enjoys making each and every Sugar Art creation. The variation is endless and the creative ideas without any limitation. Photos of some of Delightful cakes and creations can be viewed on this website, and at any of the Bridal Expo's in Mpumalanga throughout the year, as well as in Mpumalanga Bridal Guide magazine and various other Bridal magazines where she advertises. 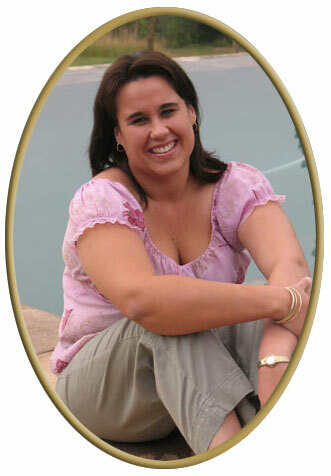 Sulandra also advertises on the popular Lowveld Brides Website. Delightful Cake's African/Ethnic Wedding cake was recently chosen above all Wedding cakes in the Gauteng and Mpumalanga area, to be featured in one of South Africa's top Bridal magazines. Sulandra not only delivers in White River and Nelspruit, but in the surrounding areas to popular tourist destinations and bushveld Lodges such as Kruger National park, Pilgrims Rest, Graskop, Hazyview, Sabie, Sudwala Caves, God's Window, Blyde River Canyon, Mozambique, Swaziland and also to the Middelburg/Witbank area as well as Gauteng. Her "Delightful Cakes" are very popular with overseas guests and Bridal couples who choose to have their Wedding ceremony and reception in Mpumalanga, South Africa.